FORGET about the recession, there's another crisis plaguing Europe. And lawmakers are so worried, they're quoting Einstein. 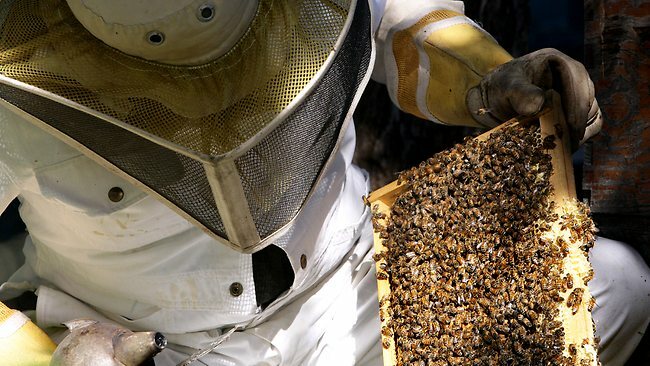 Bothered by spiking mortality rates for bees, Europe's parliamentarians have voted overwhelmingly to urge the EU to provide more funding for the beekeeping sector. MEPs voted 534 in favour, with 16 against and 92 abstentions, to support research and development in veterinary medicine to save the declining bee population, while also enforcing legislation on killer pesticides. "Beekeeping is crucial for our society as pollination plays an essential role in preserving biodiversity and maintaining sustainable European agriculture and food security," said Hungarian Socialist Csaba Tabajdi, who drafted the resolution. "Albert Einstein once said that without bees, man would live no more than four years," he added. Better data on hives and bee losses were needed as well as funding for medicines because pharmaceutical firms were reluctant to invest in a relatively small market. The European Commission also needed to issue legislative proposals to turn recommendations on pesticides into law, parliamentarians said. Some 84 percent of Europe's fauna and 76 percent of agriculture depend on pollination from bees.